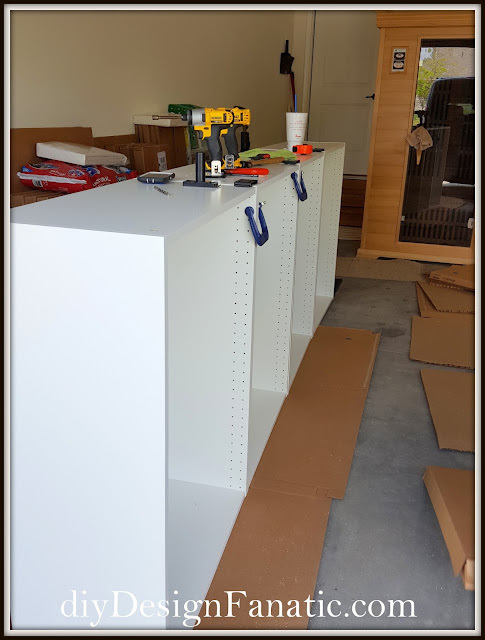 Now that the hall closets, linen closets and pantry are all organized, it was time to turn to the garage and get it organized and ready for delivery of the last 15 foot trailer/pod that's still in storage with our garage items, misc furniture and items we stored in the basement. We/He needed to do this project so that we would have space for garage items once they were delivered. With less space and lots of tools we definitely needed our garage to be organized. Spending money on garage organization is well worth it when you have a small garage. All of those items aren't going to be stored in the garage(permanently) as we have a high crawl space that we can stand up in (barely) where we will be storing the basement storage and all the garden/lawn equipment. We are having a company encapsulate the crawl space so that the humidity will be less than 55% and we'll be insulating it so the crawl space will stay cooler in the summer and warmer in the winter, almost as good as a basement. That's our goal, anyway. As many of you know we've downsized and our former home had a large, 3 car garage. Where my car is in the photo to the far wall was "my" side of the garage which held the gardening items and the closed cabinet held items that we now mostly store in the laundry room. 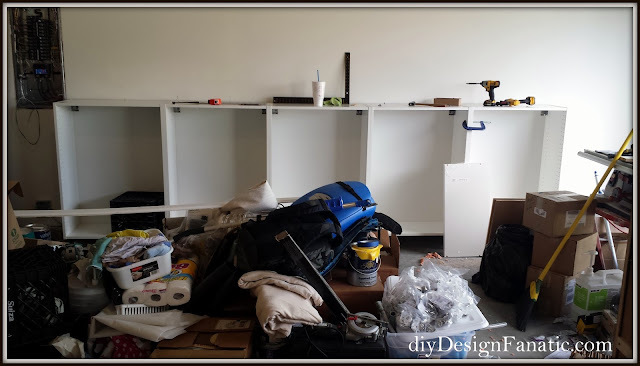 The 3rd bay of the garage held Mr. DIY's tools, and there were 3 tall cabinets that held paint, tools and work related items. 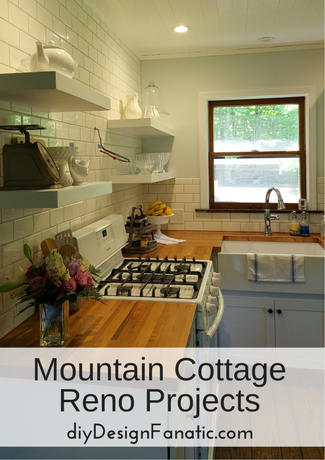 We took those with us, but will be using them at the Mountain Cottage. 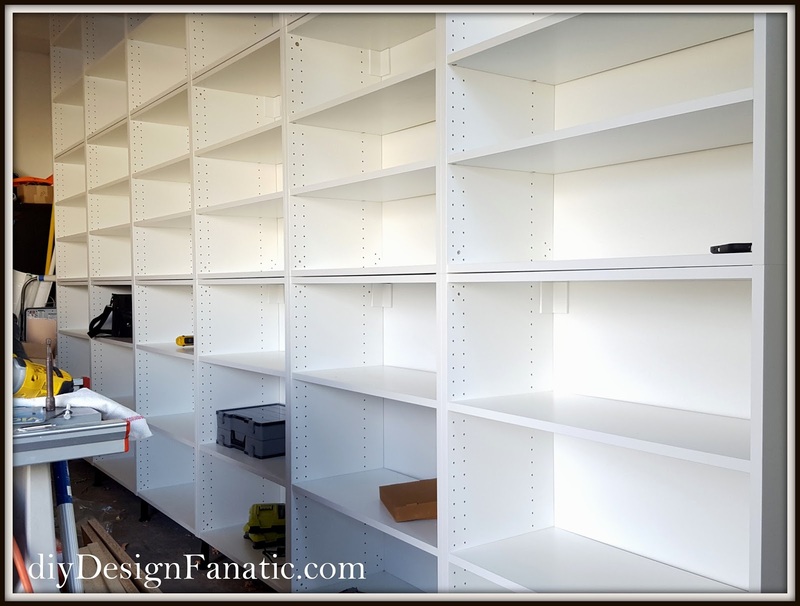 If you'd like to see more how we organized our former garage, you can find it HERE. We gave away a lot of things we didn't need and wouldn't fit in our new small 2 car garage before we moved. 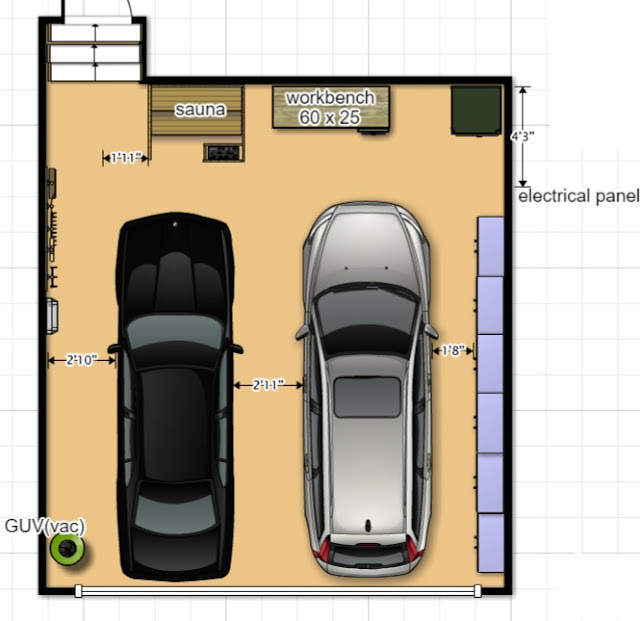 I came up with an overall general space plan and Mr. DIY planned out that he could fit most everything in a long wall of cabinets along one of the sides of the garage. 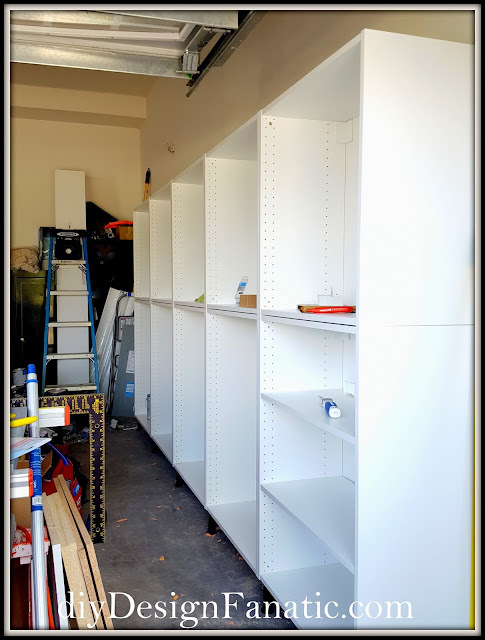 He will be adding more cabinets along the back wall once all of our storage has been delivered. 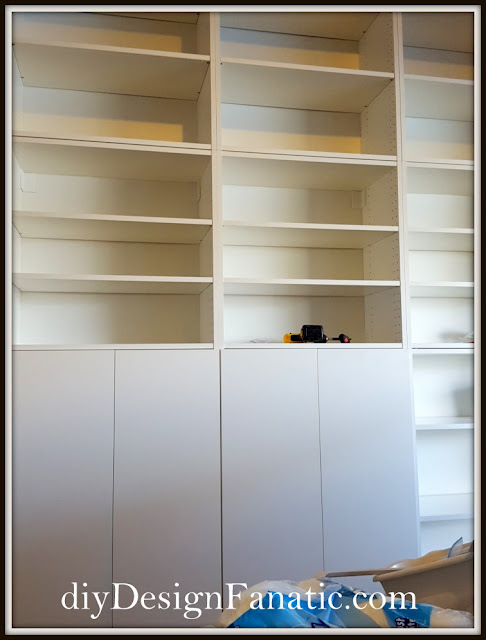 He found that he could purchase the Sektion kitchen wall cabinets from Ikea and those would work better than him making the tall cabinets like he made for the last house. He made up his list and picked them up at Ikea. The first thing he did was turn the bottom row of cabinets upside down and install the legs so the cabinets would be off the floor. That way, dust and debris could be blown or swept out easily. He hung a rail so that the bottom row of cabinets could be attached to them. 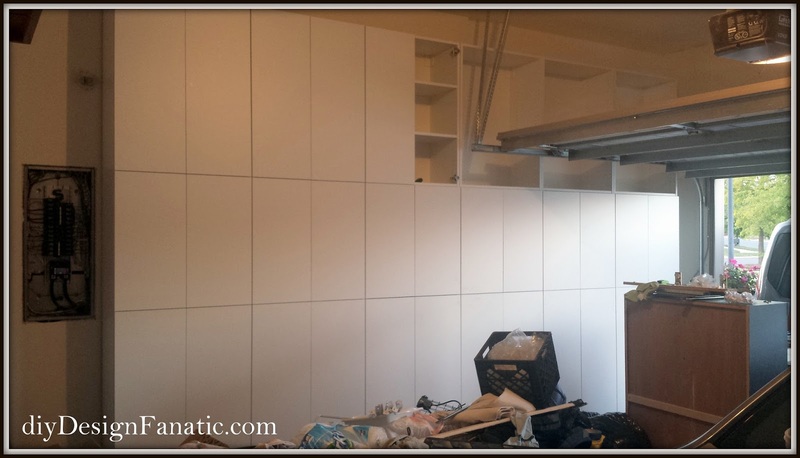 He hung it high enough so that the bottom of the cabinets would clear the little curb/foundation wall of the garage. The legs are adjustable and are really for added support. Here's a partial bottom row installed. He continued all the way down to the end. Then he installed a second row of cabinets on another hanging rail on top of the bottom row, and then installed a third on top of that in the same way. Seriously, I don't know how he figures all this out, but I'm glad he does! Here's a great pic of all the cabinets installed without the door. After he installed all of the cabinet, he started installing the doors. 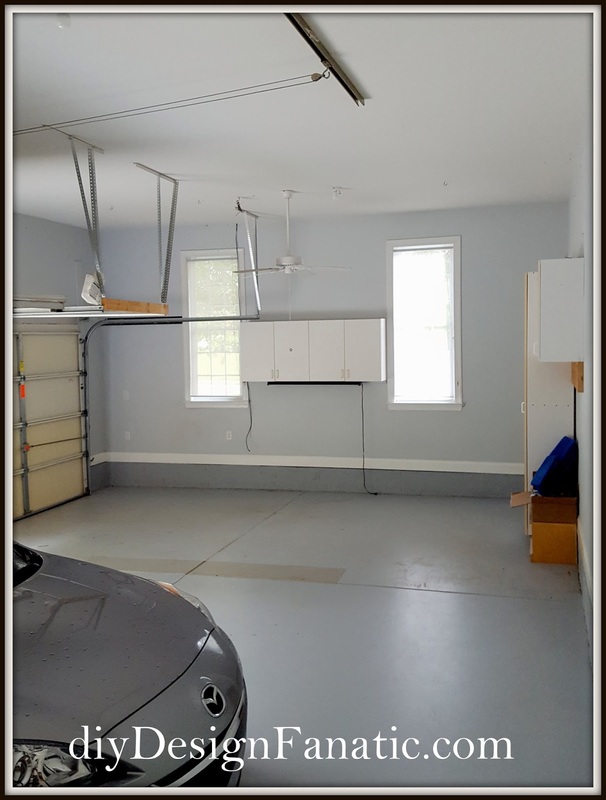 He only installed cabinet boxes behind the garage door rail since it would prevent the doors from opening. After all the doors were on, he installed the door hardware using a template he purchased from Ikea. That template made installing the door pulls so much easier. Here's what the cabinets look like with the doors closed. I'm so glad he chose cabinets with doors - it looks so much cleaner and the items stored inside the cabinets will stay cleaner too. We are all ready for our 5th and final trailer/pod of storage to be delivered! 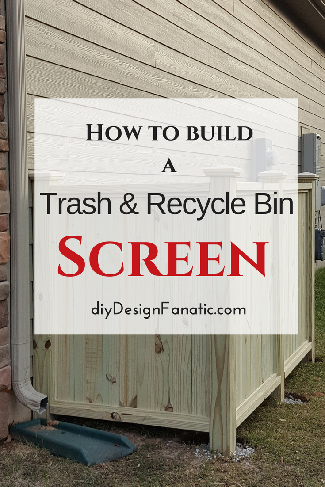 We still have 2 more walls to organize in the garage. We'll be doing the left side this weekend, as well as starting on installing a customized closet in our daughter's room. I know she can't wait for it to be finished! It took him a couple of weekends and several weeknights to install. 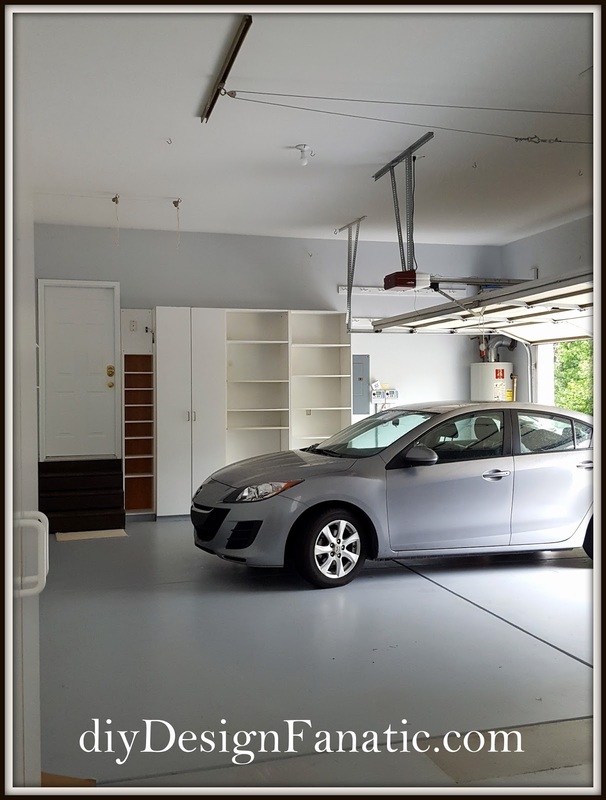 If you'd like to see another garage storage system Mr. DIY installed, you can find it HERE. Wow Pam I'm going to say it- you are spoiled!! I wouldn't know how to act with such a nice garage. I might go out and have coffee there! Seriously though you guys are the best organizers! Hubby gets a big high five for this!! I like it, but can't afford it. could be built for a lot less money. 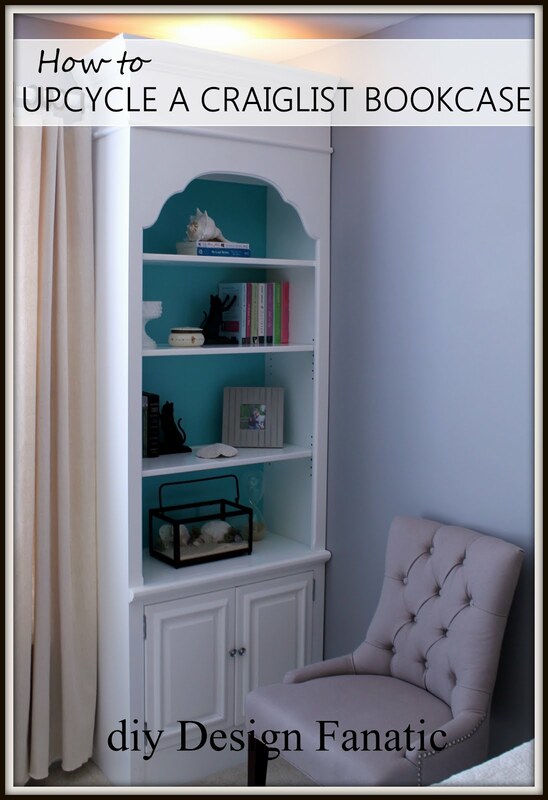 Looks fantastic and to think everything is hidden neatly behind the doors....Such a great, clean look! We thought about it, but probably not. 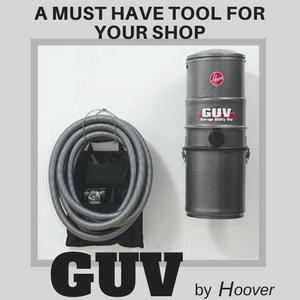 It's pretty easy to remember where everything is...1st 2 (columns) will be tools, the 3rd one is paint(bottom) paint supplies top 2 and drop cloths to the right in the middle. Far right column of cabinets is work related and middle cabinet (far right) holds the plugged in battery chargers for our cordless tools. 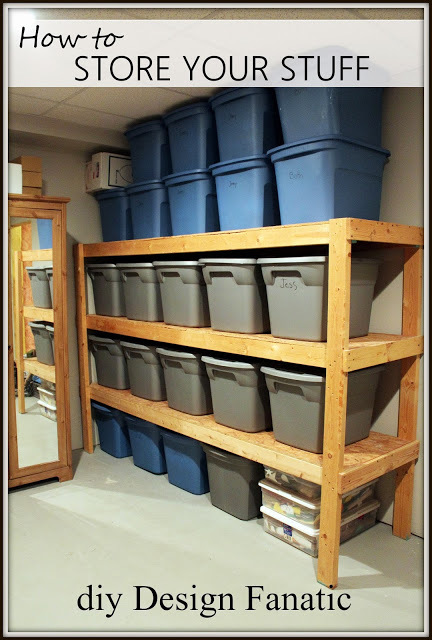 I'm a very firm believer that you need a good storage system installed in your house - whether it's your attic or garage or kitchen or toilet - in order to make sure that things stay organized and neat! Otherwise, you've just got to learn to make do with a whole lot less in terms of things in your house! Very nice. We have shelves and large tubs on one side. The other side has one tall set of cabinates(extra pantry) and a long work bench with cabinates below and shelves above built before we mined in. But after almost 30 years it needs to be reorganized if not rebuilt. But still handy. 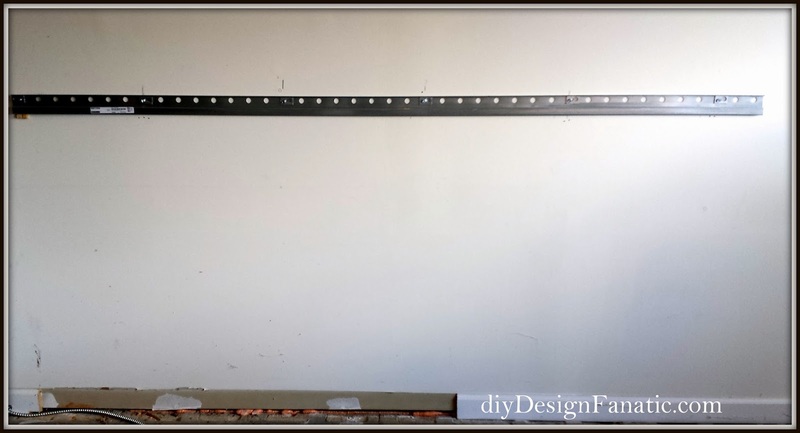 Tim has plans for a new workbench on the other wall. He already installed wall cabinet above where it will go. My sauna is on the back wall, as well. 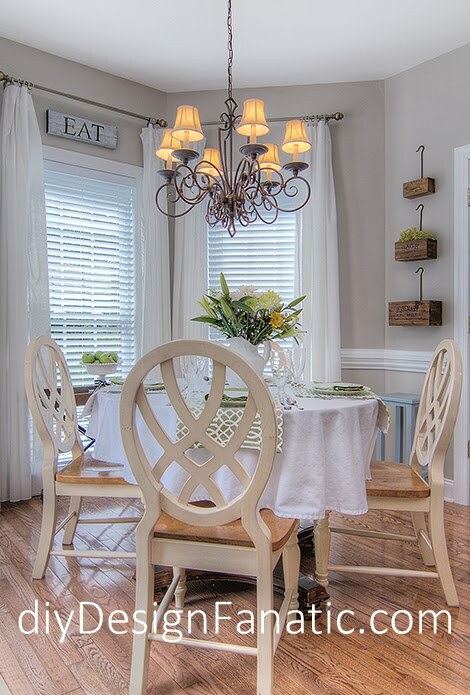 The wall opposite the cabinets has a hanging rack system for ladders, etc. Tim also has a workbench in the crawl space(ceiling is 6 ft) It's nice to have cabinets in the garage to keep things handy.